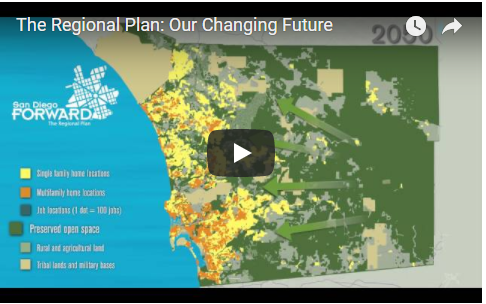 WHAT IS SAN DIEGO FORWARD: THE REGIONAL PLAN? 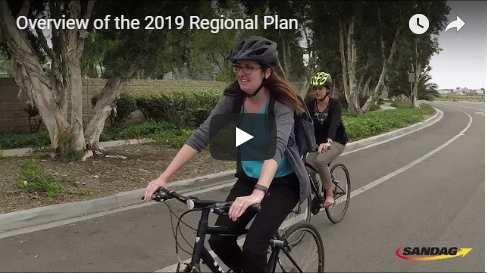 Every four years, SANDAG prepares and updates a Regional Plan in collaboration with the 18 cities and County of San Diego along with regional, state, and federal partners. 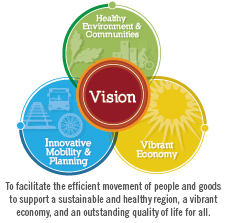 The Plan answers questions like: What do we want our region to look like in 2050 and beyond? Where will we live? How will we get around? How can we grow in a way that fuels our economy, preserves our environment, takes everyone's needs into account, and still maintains our quality of life? San Diego Forward: The Regional Plan tackles these questions and provides a blueprint for a sustainable future for the San Diego region.